SWAN Day Kenya Builds and Connects! "SWAN is the only space that brings peace and fun as we continue talking about our struggles. . . After a SWAN Day event, one always feels rejuvenated and complete. It's a platform that brings its own kind of energy and healing." SWAN Day Kenya 2016, one of the biggest SWAN celebrations world-wide, includes a three-day exhibition of visual art by 6 female artists at Kuona Trust Centre for the Visual Arts followed by a star-studded concert at the Kenya Cultural Centre in Nairobi on Saturday night, March 26. 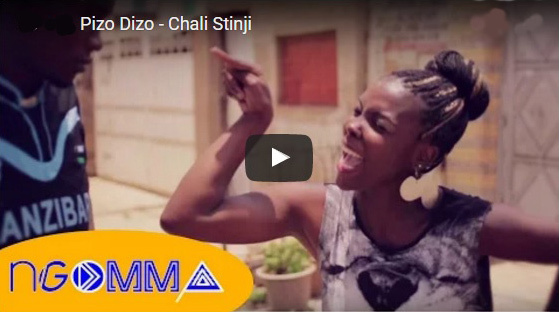 In this hit video, "Chali Stinji," Pizo Dizo sings about her stingy boyfriend. 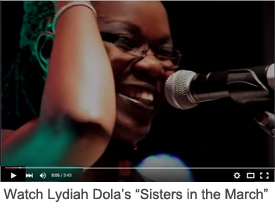 Even if you don't speak Swahili, you will know what she's talking about! The theme of this year's event is "Building Bridges - Connecting Artists." According to organizer Sophie Dowllar, SWAN Day Kenya has always been an event that has connected artists across barriers of class and age. Talented young artists share the stage with established artists that they have only seen on national TV, and one of the sponsors is Grandpa Records, a popular record label in East and South Africa that often helps young female artists release their first singles. The first SWAN Day Kenya in 2008 was one of the first large gatherings where diverse people joined together to celebrate after the disputed presidential election which led to post-election violence and martial law that year. Since Kenya is heading into another election year in 2017, the SWAN organizers are especially interested in promoting peace and communication among various segments of the population. SWAN Day Kenya 2016 will include culinary artists from five different cultures as well as diverse musicians, visual artists, and craftspeople. 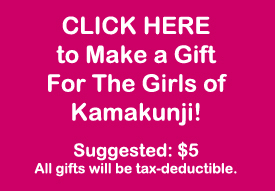 Helping the Girls of Kamukunji - Please Make A Gift! As another form of community-building, the women of SWAN Day Kenya are reaching out to girls living in the slums of Kamukunji in Nairobi. For these girls, as for many girls and women living in poverty, menstrual pads are too expensive. This is a health problem because they improvise with unsanitary materials and get infections. It is also a serious educational problem, because the girls often stay home from school for three to five days every month out of shame. There will be donation stations at SWAN Day Kenya where people can donate boxes of menstrual pads or they can donate money to the cause. Can You Help the Girls with a Gift of $5?